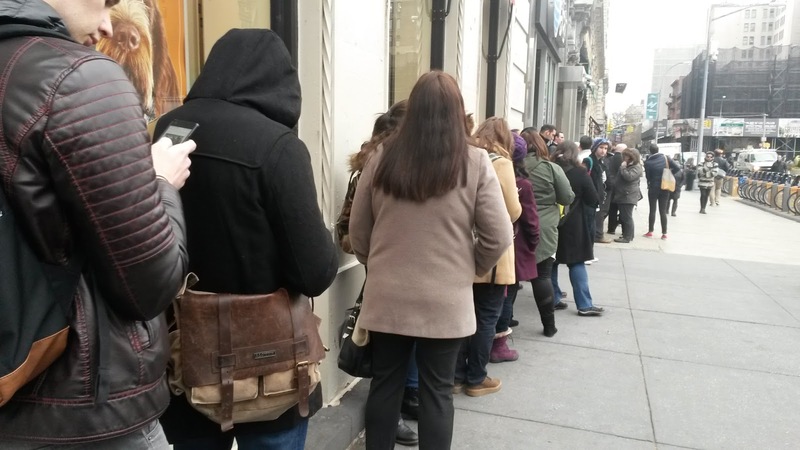 Alright, it’s time to talk about the third author event I attended in the month of January. And what’s terrible/awesome/expensive, is that it won’t be my last. I actually have two more I might possibly attend this coming week. Yikes. 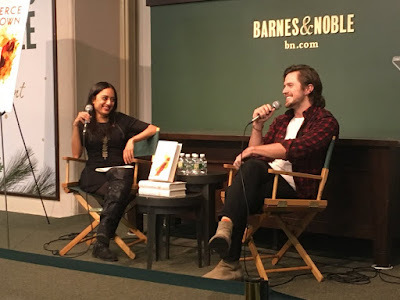 Anywho, I went to Pierce Brown’s Barnes & Noble Union Square NYC event on Wednesday, January 24th. To actually get a wristband for the event, not only did you have to buy the book from B&N, but you also had to pick up a wristband sometime between 9 a.m. and when the event started. Not a big deal, except I didn’t expect there to be a line. Thankfully, I work only five minutes away from this particular B&N and I was in the middle-ish area of the line, since I got there around 8:50 a.m. So, I was able to get to work on time, since work for me doesn’t start ‘til 9:30. 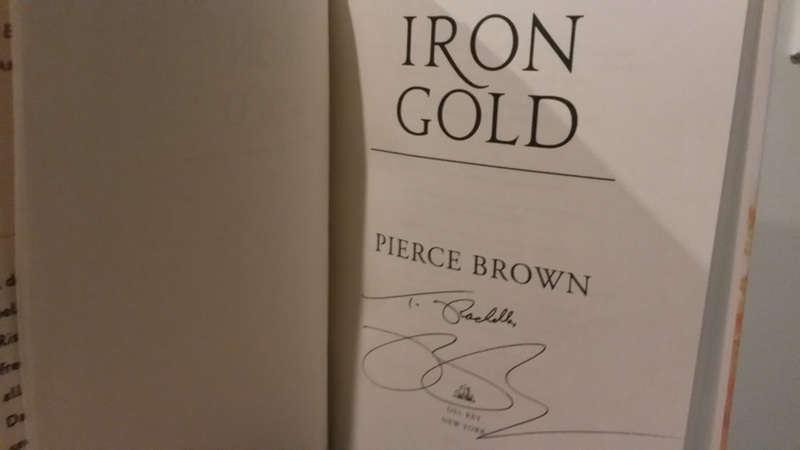 When the event actually started, Pierce Brown and his editor Tricia from Del Rey had a conversation about Iron Gold. The only problem: the editor’s voice was super soft. It was hard to hear what she was saying 75% of the time. However, Pierce Brown was a very loud and engaged speaker, so all of us could hear him perfectly fine. 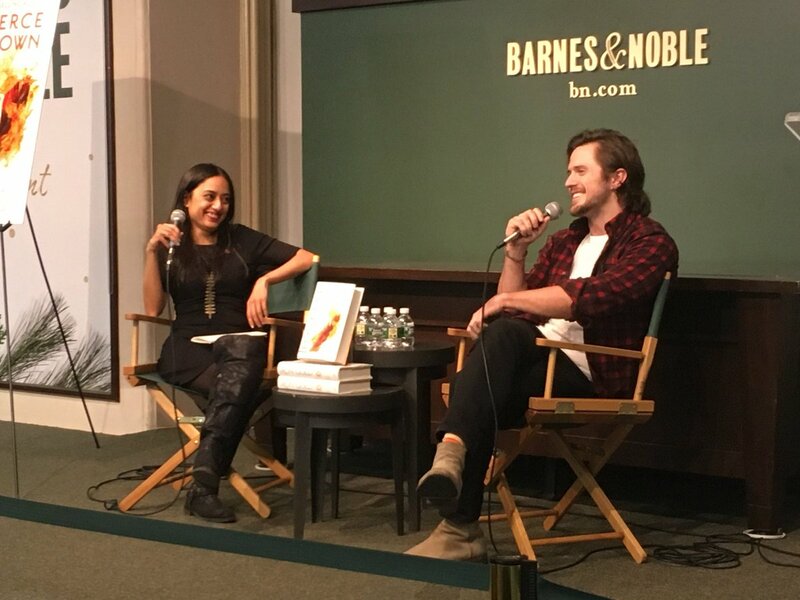 Tricia and Pierce (This pic is from B&N). Pierce answered really nerdy (full respect for the nerds) questions about the domes over the planets and how the science “works” for his world. However, he fully admitted that he just made stuff up and/or went down research wormholes late into the night. Probably the biggest controversy when he talked was when he mentioned how he decided to make decisions about killing a character in Red Rising. So, if you haven’t read that book or Morning Star, please don’t read the next few paragraphs. Another funny story Pierce had was about his previous editor for the first three books. Whenever his editor, who I believe was named Michael (if that isn’t his name, we’re just going to call him that for now, ‘kay? 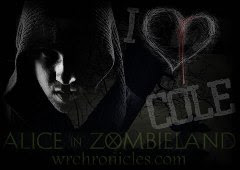 ), first read Golden Son’s ending, he was in his cubicle at the Del Rey office. Apparently, Pierce only told his editor that there was a wedding at the end of the book. Whenever Michael actually got to the end of Golden Son, he very loudly exclaimed worlds like “What the hell? !” Yep, that wedding was brutal. It was like the Red Wedding in space. As for the signing portion of the event, it went pretty well. Unfortunately, I’d sat in the middle row, so I had to wait a while to get my book signed. 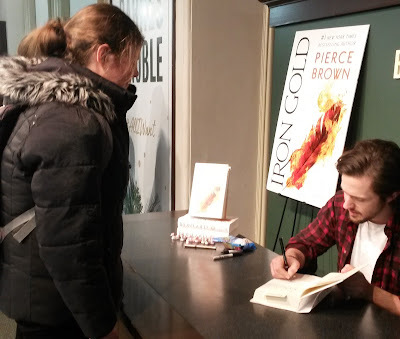 You could tell though that Pierce Brown had gotten used to doing these events over and over again because he was signing and posing for pictures like crazy. Once I got to him, he asked me if my name was pronounced Rachelle (Ra-shell). I said yes and that I was surprised he knew it because most people just say Rachel. After posing for the pic, he said “It was nice to meet you, Rachelle. I mean, Rachel.” We chuckled, and that was the end of the event. I walked off, so I could make my way home. I think this was the first event where I didn’t act like an awkward fool when I met the author. But, then again, there were so many people that he was flying through the signing line. I think there were at least 200-250 people. All in all, it was a good event. I just need to go brush up on my Red Rising knowledge immediately. This sounds like such an amazing event! I am not surprised by how crowded it was. It sounds like it was a lot of fun to listen to him. Glad you were able to get your book signed. 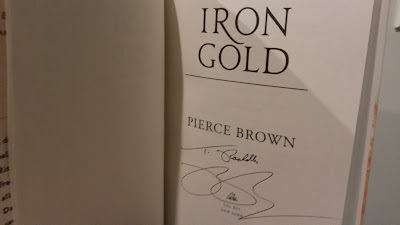 I am trying to decide if I can jump into Iron Gold or if I need to re-read the first 3. 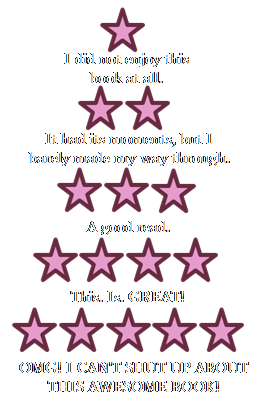 I read Golden Son as an ARC and Morning Star as soon as it was released. I have the audios so maybe I will try to listen to them first. I'd say do a reread if you can!